First and foremost we are a community of grace. Grace simply means we are the recipients of God’s kindness, a kindness none of us could ever earn or deserve. Grace is amazing because while we were without hope and powerless to save ourselves, God graciously had mercy on us by giving us new spiritual life even while we were dead to Him because of our rebellious attitudes and lifestyles. Grace is at the heart of who God is and who we are, and so we want others to know him as they get to know us. We believe that church is key to what God has planned for the world today. We believe church is people not a place. We believe church is how and where God is graciously gathering a people from all nations, people groups, and walks of life under the Lordship of Jesus Christ into one grand, loving family. We believe it is the good news of the Lord Jesus Christ that both creates and sustains the church through his Spirit as the eternal truths from the bible are taught. Church is a place where we grow as people as we learn what it means to be followers of Jesus Christ and where we can look to encourage and love each other. We are a Christian community committed to our local community of Brockley. The Lord Jesus said that after loving the Lord your God with all your heart, soul, mind and strength, the second most important commandment is to love your neighbour as yourself. Given this we want to love the people living around us in the way we live as part of the community of Brockley and in the way we interact with those around us. We therefore want to share the good news of God’s grace through the Lord Jesus Christ with the people of Brockley. 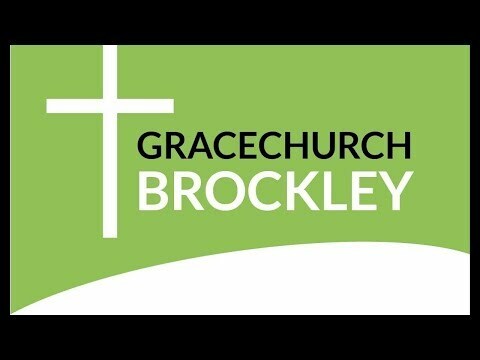 Those of us who attend Grace Church Brockley are passionate about the people living in our area having somewhere in their midst where they too can experience God’s grace in all its richness. Grace Church Brockley is part of the Fellowship of Independent Evangelical Churches (FIEC). This organisation was founded nearly 100 years ago and includes over 500 churches in the UK. Churches within the fellowship encourage and equip one another to spread the good news of Christ and can draw from resources including training, advice and pastoral care. You can read more about FIEC by visiting their website: fiec.org.uk.